As a resident of New York for twenty years, I am concerned about hydrofracking. 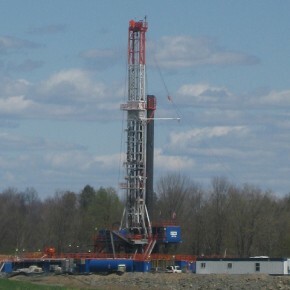 The New York Times has recently reported that the Department of Environmental Conservation is planning to approve the natural gas extraction drilling method in the state, though no decision has been made. Governor Andrew Cuomo, a Democrat in his second year in office, remarked: “I’ve said all along that the science is going to dictate,” leaving residents worried about their backyard groundwater. The process The drilling company sets up the drill site by leveling ground, paving roads, and setting up equipment. The drill bores a well downward and then horizontally for up to 8,000 feet in each direction. While the drill bears downward, it punctures the natural aquifer, or water table. The process, called slick water hydrofracking, utilizes up to eight million gallons of fresh water per fracking, and sand or other lightweight “proppants” (substances used to prop open the fissures caused by the well bore to allow the gas to seep through the pores in the shale). Following the injection of both the water and the proppants, chemical-based additives are used to accelerate the process at the cheapest cost. These additives include diesel fuel, biocides, benzene, and hydrochloric acid. Companies resist disclosing the type and amount used, assuring that they use “small amounts.” However, some chemicals especially benzene, are toxic at any level of exposure. For example, if benzene finds its way into the water table, under which lies the shale with a layer of bedrock in between, it is possible that people’s drinking water supply will be tainted. Slick water hydrofracking differs from conventional natural gas drilling in several ways. First, it uses more water and a “slick water” mixture that is pumped into the shale to fracture the rock and release the gas. Second, it is more toxic. Finally, it increases the environmental impacts: Drilling causes surface and subterranean damage including forestland and biodiversity loss, groundwater and surface water contamination, habitat and species disturbance, road traffic, and noise pollution. Hydrofracking is used in the U.S. 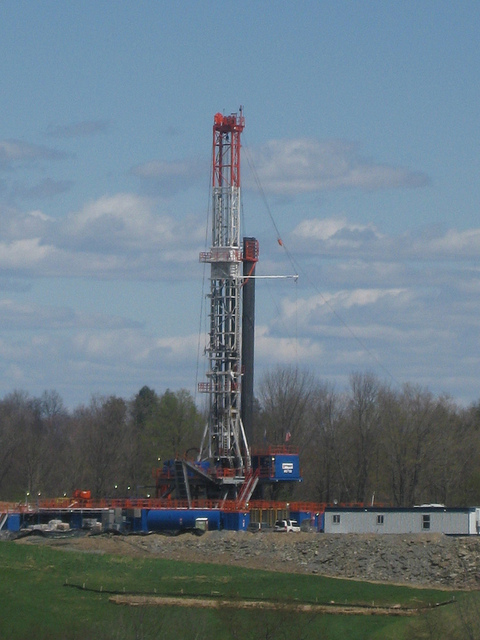 Unfortunately, this method is being used in the largest deposit of Marcellus shale in the United States, as well as in other areas of the country. This deposit extends for 48,000 square miles, from eastern Ohio to the Catskills and south through northern and western Pennsylvania and West Virginia. Formed 48 million years ago when North America was still covered by an ocean, the Marcellus basin deposit is estimated to hold as much as 500 trillion cubic feet of natural gas and 80 billion barrels of oil. The Czech Republic understands the risks, and it is opposed to hydrofracking. In May, it placed a moratorium on hydrofracking. Bulgaria, Germany, and France have become co-signers. Meanwhile Vermont became the first state in the U.S. to pass legislation banning hydrofracking within its borders. I hope that New York, of which I am a resident, will take takes similar action.